The freedom house is built in July, 1998. 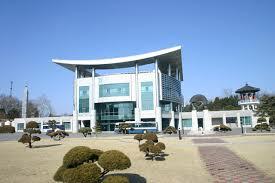 The freedom house is located in JSA (Join Security Area) on South Korea’s area. In this 4 floors building, there are Inter-Korean Liaison Division and inter-Korean Red Cross to give communication service between North Korea and South Korea.